Children need the freedom and time to play. Play is not a luxury. Play is a necessity – Kay Redfield Jamison (Clinical Psychologist and Writer). Which parent are you – the parent who loves bringing out the fancy dress or the parent who cringes in the corner? The Power of Play is huge. Playing with our children – some of us love it and can spend hours putting on voices for toy characters or whizzing around the house as imaginary superheroes. Others simply just don’t enjoy play in the same way. Perhaps we find the mere idea of putting on a silly voice hugely unnerving and feel much more comfortable taking a back seat, letting our little ones ‘get on with it’. In reality, neither approach is wrong nor right and often what is best is a balance between the two. But what we all share is one common trait – we love and want the best for our children and recognise that play is important, in whatever form it takes. 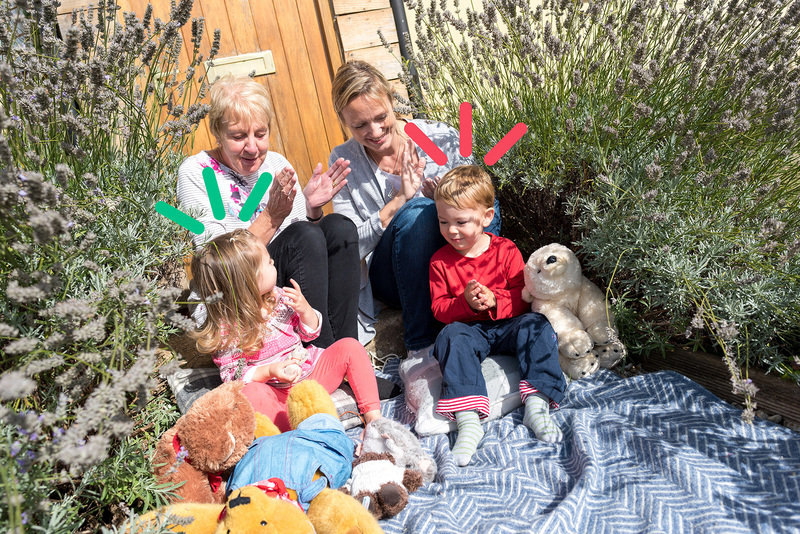 New research released this month by the American Academy of Paediatrics provides further evidence that reading aloud, play and positive parenting for under 5’s helps improve children’s behaviour and attention span. Play can be varied and wide ranging from digging in mud, to feeding a baby doll. There are hundreds of ways in which children play (and unwittingly learn as they do). Just as we prefer different jobs, children will often show preferences for different styles of play. “I like to play – football is the best in the world” – Tom (aged 3). As your baby is gurgling and cooing whilst you play peekaboo, they are developing crucial personal, emotional and social skills. When your 4 year old leaps from the sofa, foam cutlass in hand, and declares his little sister must walk the plank, they are inadvertently honing their communication and language skills. If your elderly Aunt tuts as your 2 year old uses the remote control to change the volume on the TV, or presses the play icon on the iPad for their favourite Toddler Fun Learning clip; why not point out that little Emma is in fact developing her understanding of the world and technology. This is one of the seven areas of learning highlighted in the Early Years Foundation Stage Framework that outlines crucial development skills for under 5’s in the UK. Busy, weary and wary of being a helicopter parent – the when and how of play? 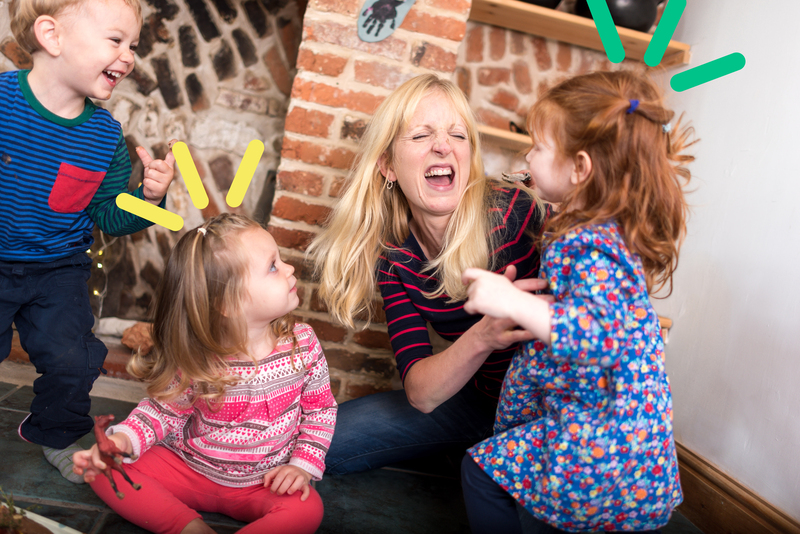 Independent learning and discovery through play is vital, but so too is the importance of adults talking to and interacting with their little ones. Fitting in short amounts of quality time, be it to share a story, race in the park or create a cardboard invention, can have an immeasurable impact on every child’s development. All play counts, so encourage your tots to play independently but try to fit in a little bit of time to play alongside your children and watch your tots learn and shine. 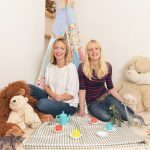 Smarty Tots was set up by Rachel and Becky, both busy mums, one a Primary School Teacher and one a former Lawyer. Eager to find new, inspiring and simple play ideas for their tots to give them the best start for a bright future. They wanted a way to record each step of their little one’s precious development journey in a way that didn’t involve a million pieces of paper! Smarty Tots – provides fun, weekly, themed play ideas, accompanied by book, song and video links. It allows you to record your tot’s learning journey and all of the developmental skills they have practised.